It’s that time of year when writers across the world get ready for the largest writing event of the year, NaNoWriMo, and this year I’ve decided to joe one of them. 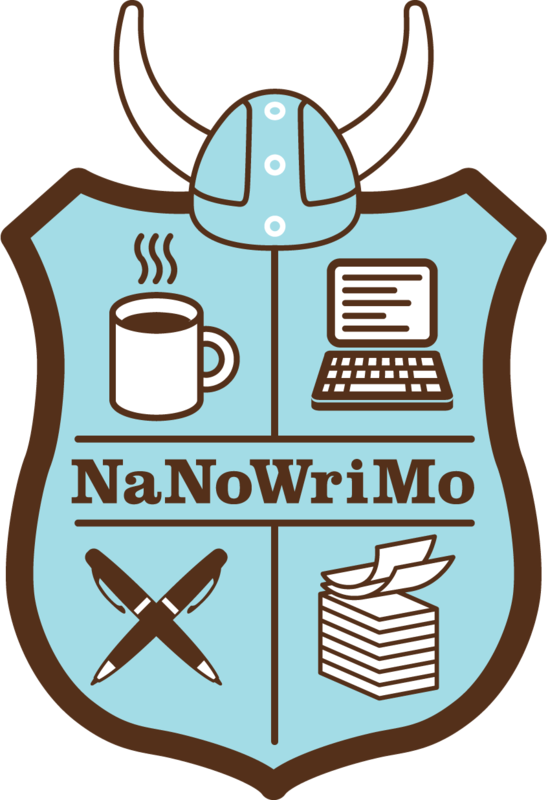 For those of you who aren’t aware, NaNoWriMo is National Novel Writing Month, where from the 1st November participants begin writing the first draft of a new novel. The goal is to complete 50,000 words by midnight on the 30th November – an average of 1,666 words per day. The event started in 1999 with just twenty-one participants but has grown year-on-year to hit 431,626 participants in 2015. I’ve always wanted to take part in NaNoWriMo but so far the timing has never been right. This year, however, the timing couldn’t be better. I’ve been working on the idea for a children’s novel over the past couple of months as I’d love to have a book published that my two boys can read. As those who follow my blog regularly know, I’m half-plotter, half-pantser, so I’m as prepared as I like to be with a good idea of the who the main characters are and their motivations, a general idea of the world I’m creating, and an outline of what happens where – without being too prescriptive. I’ve also researched the relevant historical era I’m loosely basing the story around and I’ve already written a first chapter – which will need re-writing – so I have a good feel for the style I’m looking to achieve. Still, one thousand, six hundred and sixty-six words per day is no small undertaking. The most I’ve written in one day is 4000 words but that was a one-off, took all day and my brain was mush by the end of it. Finding the time to write over one and a half thousand words each and every day will be tough, and if that wasn’t hard enough, I’m also starting my cricket coaching qualifications later the same month, so time will be even tighter – and that’s not even mentioning family, work, music and so on. But, it’s good to challenge yourself every now and then, right? The most important thing to remember about NaNoWriMo is that it is a bit of a misnomer. By the end of the process you won’t have a finished novel. Unless you are writing children’s fiction (as I am) you may not even have a completed first draft, but you will have completed the bulk of the writing AND got yourself into the habit of writing regularly, one of the biggest obstacles to completing a novel. So the big question is – who’s joining me? If you are, I’d love to link up with you so we can share our journeys together. If you have been thinking about taking part but aren’t sure where to start, just click here to register. It’s very straight-forward and once registered you can link up with other authors. My author profile page is here. You don’t have to have anything prepared, many authors – including Stephen King – start off with an idea of a character and a situation and take it from there. If you’ve already registered to take part, please feel free to let me know in the comments below or to hook up via my author page. And even if you don’t decide to take part, please feel free to check out my progress and cheer me along (or give me a verbal kick up the backside) whenever you can. I think I’m going to need all the support I can get! ← Reedsy – the one-stop shop for writers? I don’t think the rules are policed, in fact there is a badge you can win by saying you’re not following the rules! That said, whether you take part officially or not, it’s good to have you on board! Did it once. Once only. 1600 words a day is peasy. Most of my blog posts are 1000 words, but maybe I write rubbish fast. Don’t answer. There is a difference between writing quality 1600 and rubbish though. The second ends up needing an awful lot of time tidying it up. But give the links, happy to kick you. Cricket coaching? Cricket is sooooo boring. On a par with golf. 1600 words a day is doable, it’s just all the other stuff I have to do as well. We’ll see. As for cricket, I’m usually happy to take other people’s opinions on board (as you know) but in this case you’re so wrong! Oh. No. I’m not. And this is a woman who comes from Truman/Boycott country. Probably endless boring blather about Headingly imbued a permanent dislike of cricket in me. The only thing to be said for it is that it isn’t noisy. Does Suffolk have a County Cricket Team? It does, but minor counties. The closest major county is Essex. Oh. No. I’m not. Opinions are never wrong. Boring sports: cricket, golf, hockey. Not so bad ones: soccer. Good ones: tennis, rugby (both), cycling. Definitely doing it (for the 9th year in a row). My 2010 NaNo project became my 2013 novel, Kenning Magic — proof that the hard work pays off. Whether you reach your 50K goal or not, the work you put in will only move you closer to completion. The key “rule” (and really, who’s the referee here?) is to not reread what you’ve written. Just keep going. Editing is for later. I’m sending you a buddy request in a few moments. Happy writing! Thanks Lizzie, I think I’ve already responded. Thanks for your advice. I was contacted the other day by Reedsy as they’ll be publishing a blog on NaNoWriMo and were looking for quotes and advice from authors and I said pretty much the same thing. Normally when writing a first draft I’ll back edit a little (for my own peace of mind) but this time I’m just going all out to get words down. It will be interesting to see if I can keep the balance of quality and quantity. Good luck with this. I don’t think I could ever put out 1000+ words a day, even with no other commitments at all – I just write too slowly. Looking forward to reading news of your progress. Thank you! I’ve no idea if I’ll be able to do it or not but it’s always good to push yourself from time to time. I may regret saying this. Good luck Dylan. I took part last year but not being able to remember the month afterwards bugged me. Cheering you on from the cheap seats. Hi Susy, I don’t mind at all, I’m delighted you wanted to buddy up. I’m really looking forward to it as well. It should be fun! I am in! I got signed up Sunday. If I somehow pull off 25k words, it will be a success for me. I haven’t been a pantser since prior to my workshop and editing days, which is to say a long time ago. If this book was using my usual multiple 3rd-person limited POV, I wouldn’t attempt this. However, a 1st-person narrative is perfect for pantsing, so we’ll see how I flow. Letting go of control is tough for me and my writing OCD ways LOL. I couldn’t even begin to imagine where I’d get to pantsing NaNoWriMo. Last time I tried it took just two hours before I wrote myself into a hole. That said, you should have great fun seeing if it works or not. Good luck! I’m in. I’ve tried a couple of times and have never made it to the finish line. Maybe this is the year. I don’t have much time to plan so I guess it’s pants all the way (In every sense). Excellent! And the great thing about panting is that it’s just as big an adventure for you as it is for the reader! I’ve found you and buddied up, if that is the right phrase. I’ve also written 1721 words of probably total gibberish. Hooray, I have earned my hot chocolate! Well done! I’m doing well at the moment as far as word count is concerned but I’m not sure about quality! At the same time, it’s the start of a new world so I need to over describe and overwrite just to get it into my head before I get the scissors out! I got a bit bored on my preamble and dove in and wrote a juicy bit – the “accident” of my antagonist. It’ll need rewriting of course, but it made me smile, in a manner not unlike a homicidal maniac. My partner has asked me if he should be afraid. Not yet! If your main aim is to have a kick up the arse to get started, then it’s done its job regardless of whether you finish 50000 words in a month or not. Good lick to you too! 2014 was the year I pantzed my way to victory and it was tough, I type with three fingers. it gave me a first draft but more than that it broke the back of my “I must organise, research plan and never actually get there habit” . Good luck, writing a stream of consciousness is freeing. I found the meeting up and chat rooms etc… got in my way but once I chilled and put away my “Managers hat” It worked. Thank you. I’m not sure if I’ll be going to any meet ups, seems more of a distraction than a help to me but could be great for others. The good news is that I’m off to a flying start but I know there are some days I won’t be able to write so I need to get as many words as I can under my belt before then! I did it last year and finished a novel. I was 45k in before I started, so that helped. I’ll give it a whirl again though I know I won’t get anywhere near 50k written. Yay! Let me know when you sign yourself up and I’ll buddy up with you. I did sign up but I can’t see how the buddy thing works. Maybe if you ‘buddy up’ it will activate itself. I’m a great believer in the kick up the arse theory of technology. Fellow children’s writer and half-pantster/half-plotter here! Cheering you on as you start NaNo! NaNo always seems to appeal to the pure pantsers far more than the plotters, so it’s interesting watching someone who does a little plotting give this a shot. It always seems like the vibe is, “Don’t stop to think, go, go go!” so I’m intrigued to hear how that works for you with the plotting aspect! Best of luck and cheering you on! Hi! Great to meet you! It’s going well so far. I’m completely overwriting everything at the moment (I normally write my first drafts light and then add to them) but nothing that can’t be resolved in the edit. Haha, completely agree. The edit is where the magic (ahem, sweat and frustration and breakthroughs) happens!